There was a time when I loved nothing more in a movie, TV show, or comic than a good old fashioned eleventh hour betrayal. There’s obviously a proud literary tradition of betrayal in fiction that includes the Bible, Milton, and Shakespeare, but here are a couple of random but well-known contemporary examples: The Empire Strikes Back. The first season of 24. Watchmen. All of these introduce characters who we basically understand to be good guys. Then, near the end of the narrative, we learn that, like Nina Meyers in 24 or Ozimandias in Watchmen, they have actually been working at cross purposes from the protagonists all along. Or, as in the case of The Empire Strikes Back’s Lando Calrissian, we learn that the character has been made to make a hard choice between their loyalty to the protagonists and their own well being. Sharper than a goddamn serpent’s tooth, amiright? I guess I don’t think so anymore. These days, betrayals in fiction feel like just another box being checked off; just another dot on Syd Field’s screenplay writing Paradigm. There’s a reason that joke with Alan Tudyk and the dinosaur toys in Firefly is funny. It’s because even the “sudden” betrayals aren’t really all that surprising anymore. These days they all just feel “inevitable” and a little empty. Except last weekend I watched Joon-ho Bong’s Snowpiercer on demand. As the reviews say, it’s a very neat little movie that takes a very simple idea and runs with it in wildly original ways. 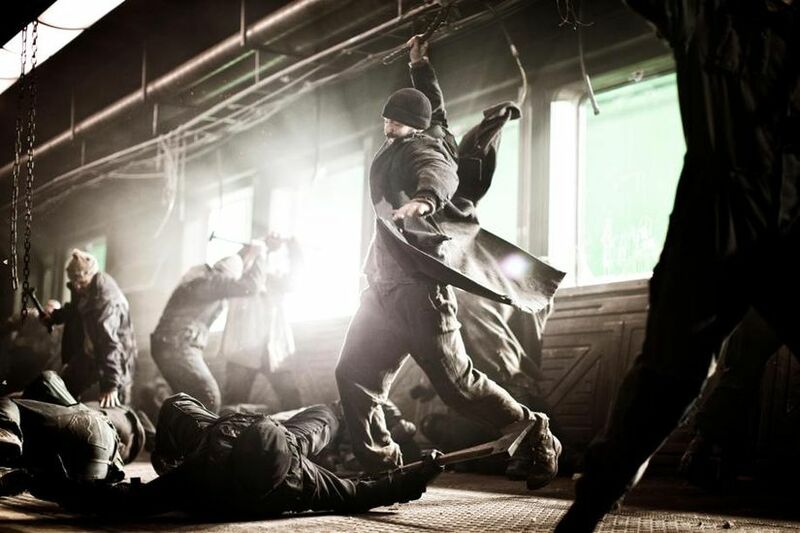 Perhaps because the Korean director brings a different set of stylistic conventions and cultural references, the plot, which follows a group of working class revolutionaries through the increasingly more opulent cars of a long train at the end of the world, rarely behaves in way American audiences would expect. This is an especially nice surprise given that the action is physically limited, literally having only one direction in which it can move. I will not spoil it here, but the very last moments of the movie are pretty spectacular and, again, wholly unconventional in the context of Hollywood genre movies. 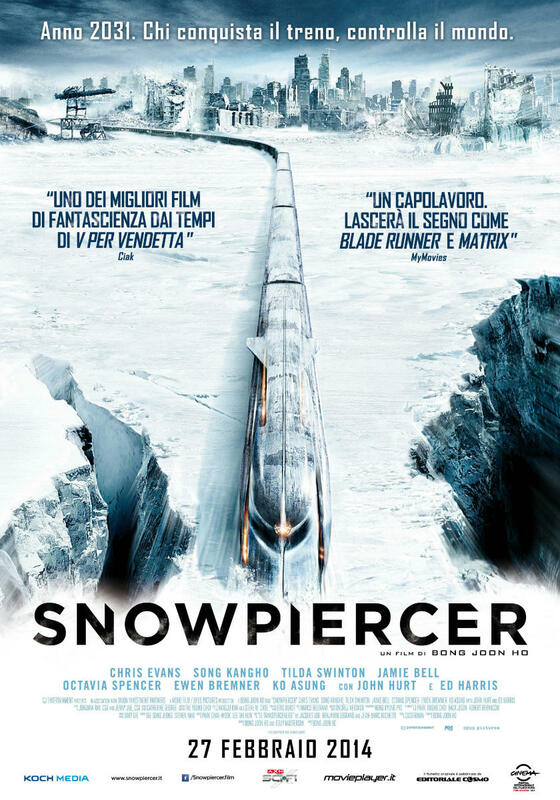 Because it got me thinking about the topic at hand I will spoil the third act betrayal because it occurs, like everything else in Snowpiercer, in a highly irregular way. You see, it is a betrayal that happens posthumously. 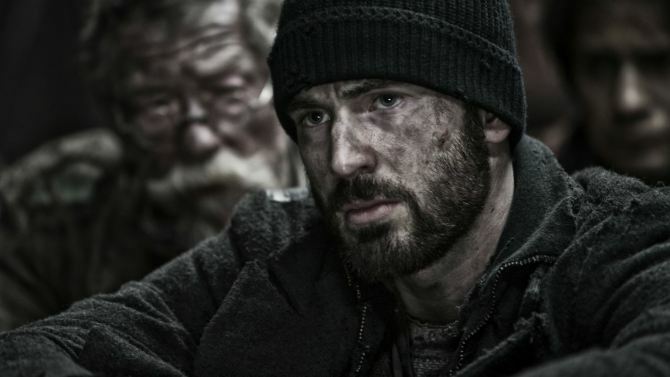 In Snowpiercer, Chris Evans plays Curtis, a handsome lowlife from the back end of this magnificent train that has circled the Earth for 18 years after a botched attempt to fix global warming left the planet frozen and devoid of life. He leads a revolt and makes his way to the bourgeoisie front of the train, where he plans to establish a new, more fair social system among the worlds last survivors. His mentor is John Hurt’s Gilliam, a wizened old man missing arms and legs. We learn later on – again, no specific spoilers about this part – that Curtis was once a pretty bad customer and only straightened up because of Gilliam’s influence. 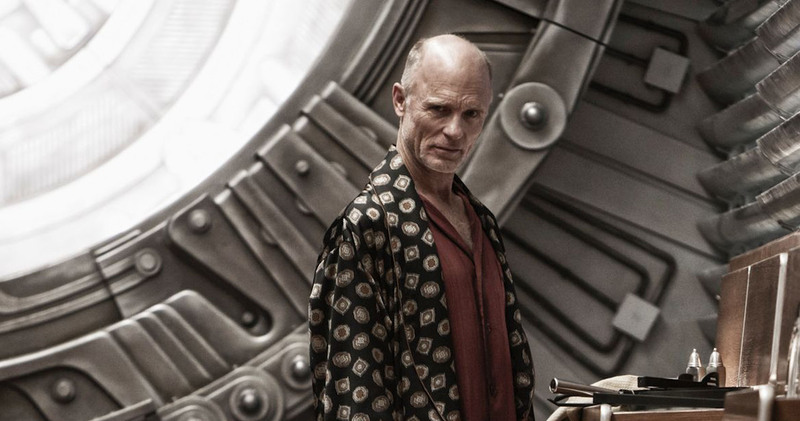 Gilliam also used to be friends with the trains inventor and quasi-messianic figure Wilford, played by Ed Harris. Curtis and his revolution suffer an intense blow at about the halfway point, when he sees Gilliam shot in the head by Wilford’s goons on a monitor. But Curtis suffers a worse blow at the climax of the film, when he learns that Wilford and Gilliam had actually been in cahoots the whole time and cooked up this revolution idea together as a way to thin out the ranks of the back-of-train proletariats, with Curtis acting as their unknowing pawn. The revolution was simply more successful than Gilliam and Wilford thought it would be, so Wilford had his old friend killed in hopes of slowing Curtis’ roll. It’s a compelling twist for a couple of reasons, and smartly subverts a lot of the cliches that have made betrayal feel played out as a storytelling device. Firstly, movie betrayals typically exist for the moment of confrontation, when the hero must come face to face with his one-time friend. We all know how it goes — the stuttering disbelief, the shouted outrage, the last-ditch attempt to appeal to the betrayer’s better nature. Here, Curtis doesn’t get to do any of that, so he can only confront the betrayal in retrospect. This plays authentically, probably because it feels more like real life. When we feel betrayed by a friend, we often simply stop calling them or unfriend them on social media. In life we are not often granted the emotional closure of an epic lightsaber fight next to a lava pit; the betrayal simply lives on within us, back contaminating whatever happy memories we might have had of that person. 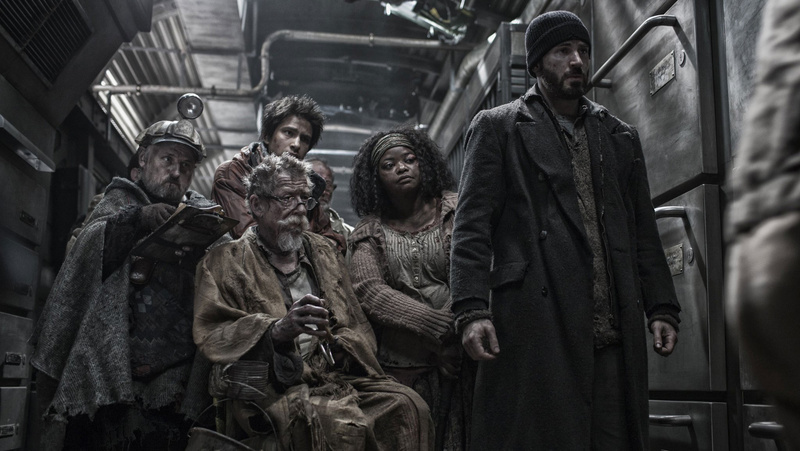 In this way Gilliam’s post-mortem betrayal in this crazy apocalypse train movie feels true. Worse for Curtis, there is an ice-cold practicality to the plan that suggests Gilliam really thought he was doing the right thing. And can I say, it is a testament to Bong’s restraint and cunning as a filmmaker that Gilliam is actually dead. A hack director would have had him saunter out in the last scene to twist the knife in Curtis. Leaving him dead — and more importantly, leaving his betrayal totally off-screen — brilliantly introduces some doubt into the whole thing. We are not shown any evidence of Gilliam’s betrayal, we are only told about it by Wilford. Early in the movie, Gilliam tells Curtis to cut out Wilford’s tongue when he meets him, because he uses lies to manipulate people. So is Gilliam trying to protect his secret collusion with Wilford or merely anticipating his one-time friend’s ploy? Or is it something more complicated, like he has been working with Wilford, but secretly hopes the revolution will succeed? It is a totally legit reading to infer that Wilford is just messing with Curtis and this heartbreaking betrayal didn’t even happen. That it is left a mystery is pretty freaking masterful. American audiences are generally very bad with ambiguity and I feel like an American action movie would not leave such a sophisticated tangle of uncertainty at the center of its climax. Whatever we are supposed to think, it can serve as an apt deconstruction of betrayal as a storytelling tool. Too frequently, betrayals occur like clockwork at the stroke of the third act in service of plot mechanics. Here the betrayal — whether it actually happened or not — is used correctly, on a purely character level. We feel, as Curtis does, that Gilliam has betrayed him. The pain of this betrayal is crucial in determining his next decision, where he essentially has to decide whether what’s left of the human race deserves to be saved. 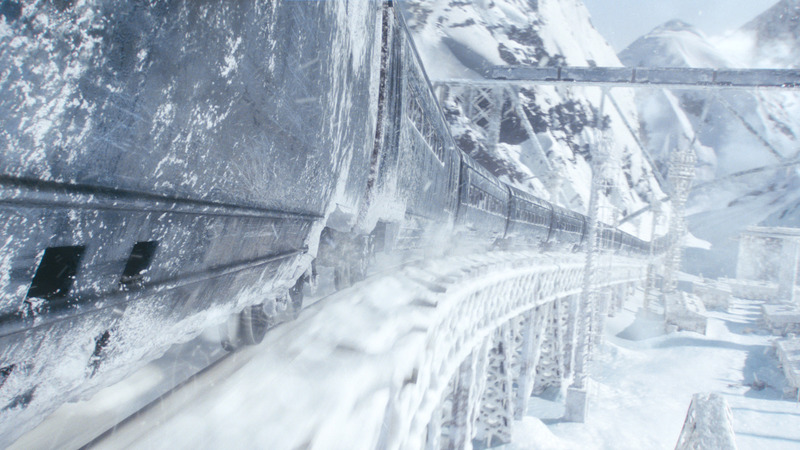 Snowpiercer is a phenomenal movie on at least a couple of levels. For me, it’s also a good last word on betrayal in fiction.